India's national scheme holds the personal data of more than 1.13 billion citizens and residents of India within a unique ID system branded as Aadhaar, which means “foundation” in Hindi. But as more and more evidence reveals that the government is not keeping this information private, the actual foundation of the system appears shaky at best. On January 4, 2018, The Tribune of India, a news outlet based out of Chandigarh, created a firestorm when it reported on that people were selling access to Aadhaar data on WhatsApp, for alarmingly low prices. Concerned about what this might mean for ID holders, Gupta attempted to notify the Unique Identity Authority of India (UIDAI), the agency responsible for issuing Aadhaar numbers, about the problem, but was unable to confirm that UIDAI was aware of or addressing the problem. Gupta is one of 270,000 such village-level entrepreneurs who operate Common Service Centres responsible for various e-services between governments, businesses, and citizens. He then approached Tribune journalist Rachna Khaira, who undertook the investigation. Following the investigation, India Today conducted a ‘sting operation’ of their own to confirm the findings of the Tribune reporter. Your Aadhaar details on sale for just Rs 2! The UIDAI's response to the breach was to file a criminal complaint against Rachna Khaira who conducted the investigation into the breach of personal data and called it ‘misreporting’. When the Editors Guild condemned penalising the reporter, the UIDAI's response was to justify their action. Govt. is fully committed to freedom of Press as well as to maintaining security & sanctity of #Aadhaar for India's development. FIR is against unknown. I've suggested @UIDAI to request Tribune & it's journalist to give all assistance to police in investigating real offenders. This is not the first time that the UIDAI has “shot the messenger,” so to speak. In early 2017, UIDAI filed a criminal complaint against CNN-News 18 journalist Debayan Ray for conducting an investigation in which he created two Aadhaar enrollment IDs using the same set of biometrics. 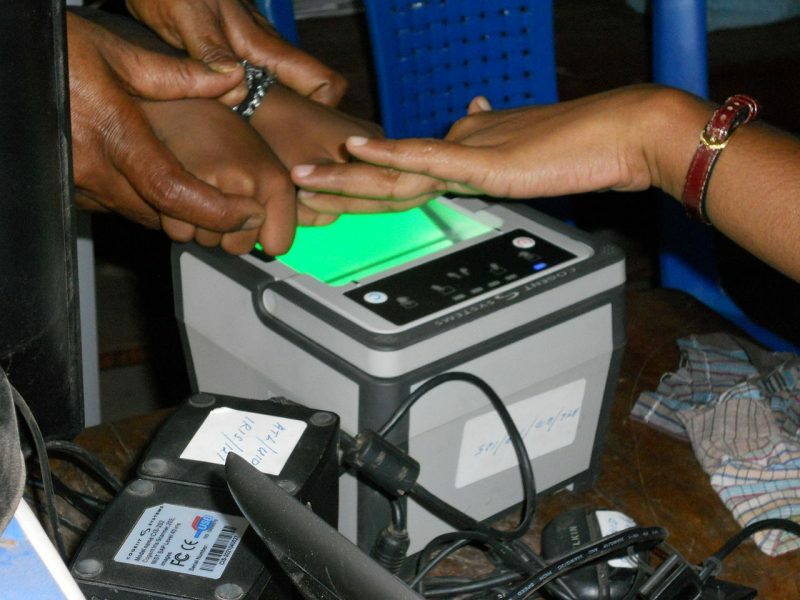 The Aadhaar unique identification number ties together several pieces of a person's demographic and biometric information, including their photograph, fingerprints, home address and other personal information. This information is all stored in a centralized database, which is then made accessible to a long list of government agencies who can access that information in administrating public services. Although centralizing this information could increase efficiency, it also creates a highly vulnerable situation in which one simple breach could result in millions of India's residents’ data becoming exposed. According to @databaazi, DSDV logins allowed third parties to access Aadhaar data (without UID holder's consent) from a white-listed IP address. This meant that anyone with the right IP address could access the system. This design flaw puts personal details of millions of Aadhaar holders at risk of broad exposure, in clear violation of the Aadhaar Act. The Aadhaar Act forbids the public display of Aadhaar numbers. Yet there is irrefutable evidence that both state and central government departments have exposed bank account and Aadhaar numbers of pensioners, minors, scholarship grantees and others. In October 2017, @iam_anandv pointed out how even a simple Google search for the UIDAI's tagline reveals hundreds of Aadhaar details. In November last year, it was proven that more than 200 government websites were showing Aadhaar details. The UIDAI admitted this, after they were compelled to release this information in response to a Right to Information (RTI) request. UIDAI CEO Ajay Bhushan Pandey has repeatedly maintained that the exposure of Aadhaar numbers alone poses little risk as “Aadhaar numbers are like bank account numbers.” But this has been proven to leave people vulnerable to phishing, identity fraud, and corporate malfeasance, as seen in December 2017, when telecom giant Airtel opened three million payment accounts for customers without obtaining their informed consent. Screenshot from the Unique Identity Authority of India (UIDAI) website displaying warning against sharing Aadhar Numbers publicly. While the UIDAI's actions offer little optimism, the last hope may be with the Supreme Court of India which will hear main Aadhaar petitions for the last time beginning on January 17, 2018.